Reduced non-cutting time thanks to high speed acceleration and rapid traverse rate. All machine linear motion is in the column to isolate the ball screws from machined chips. Tools are directly changed to/from the spindle to the tool magazine to ensure high reliabiliy. Fixed table construction provides convenient automatic fixture mounting for exceptional versatility. 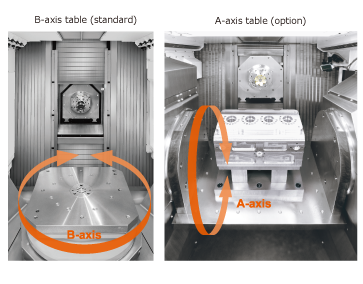 Machines with the standard B-axis machine and machines with the optional A-axis can be integrated in the same production line. 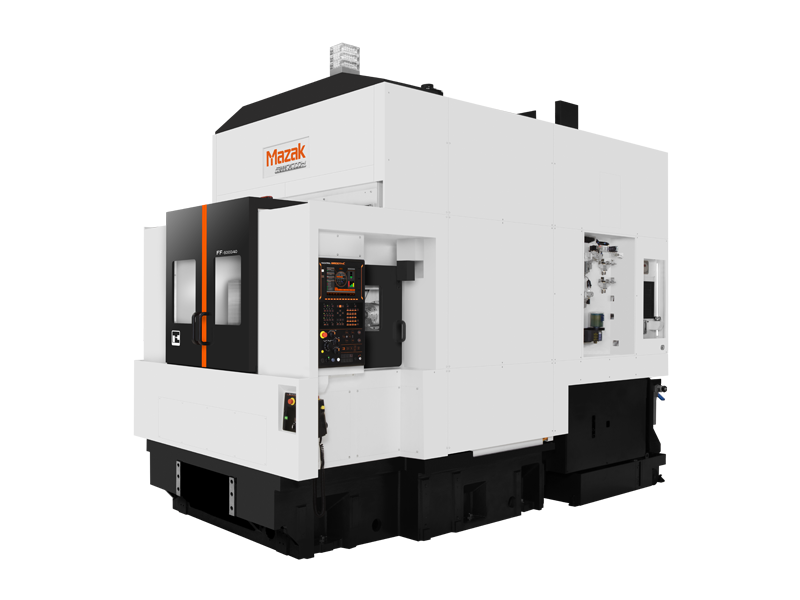 The MAZATROL SmoothC CNC is standard equipment and the Fanuc 32i is optionally available. Note : Thermal Shield depends on market.